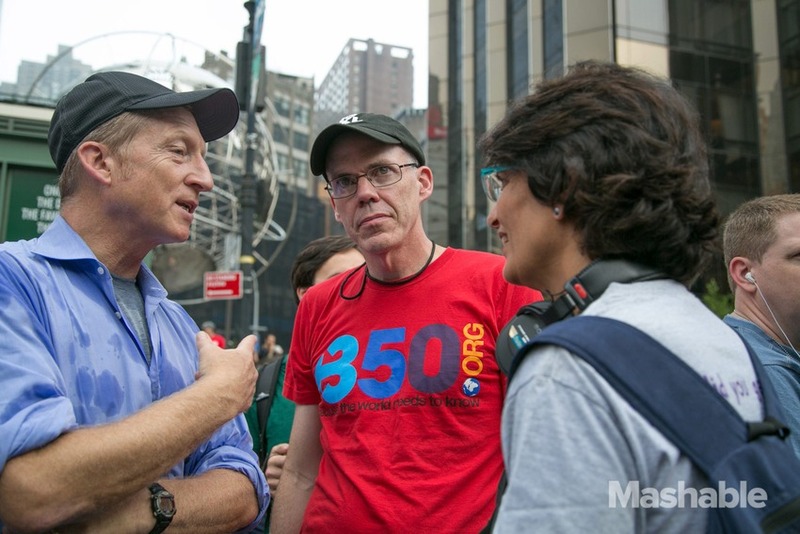 As investigative journalist Cory Morningstar reports, fossil fuel divestment is a farce. Fossil fuel divestment — promoted by 350 — targets only publicly traded stocks; but pension funds targeted by the 350 divestment campaign invest hundreds of billions in privately traded securities, such as hedge funds and private equity, that are heavily invested in fossil fuel production–including fracking. Compromising the 350 divestment campaign is the fact it has received hundreds of thousands of dollars from hedge fund managers like Jeremy Grantham and billionaire Tom Steyer, who has major investments in fossil fuels. Steyer’s Farallon Capital was, in fact, a target of 350, until he bought their silence. Grantham, meanwhile, donated millions to buy the support of Sierra Club, Nature Conservancy, Environmental Defense Fund and Greenpeace. As usual, the 350 Climateers are clueless about how they are being used by fossil fuel investors to undermine democracy and the environmental movement. College campuses across the country have been abuzz with protests calling for the divestment of university endowments and public pension funds from fossil fuels. As a result of the pressure, Stanford University has begun to divest its $18.7 billion endowment from coal stocks. Union Theological Seminary in New York has begun a divestment process as well. Cities have born the brunt of protests as well, and a growing number of them are making decisions to stop investing city funds in dirty energy. It appears to be a noble, even necessary idea. The campaign, led largely by 350.org (which is headed by the environmental writer and activist Bill McKibben), seeks to stop the continued exploitation of fossil fuel reserves, which it rightly considers a one-way road to climate-change disaster. But the fossil fuel divestment movement is, at best, a misguided endeavor and, at worst, a self-defeating roadblock. The changes being proposed will do little to stop investment in the fossil fuel economy. Severely hampering the campaign is its focus on publicly traded securities such as stocks and bonds — when much of the fossil fuel investment today is taking place on private markets. Notice the words “publicly traded.” In other words, fossil fuel divestment would target only major corporations that are listed on the stock market. But pension funds and endowments, the entities largely targeted by the 350.org campaign, invest hundreds of billions of dollars in privately traded securities, such as hedge funds and private equity — vehicles that are invested at all levels of the fossil fuel economy. (In particular, hedge funds and private equity have been found to be the key financial backers of the fracking boom.) Were the Massachusetts divestment bill to pass, state pension funds would invariably still be invested in the fossil fuel economy. The divestment campaign argues that 200 publicly traded fossil fuel companies dominate the fossil fuel exploration market. But they ignore that such companies frequently depend on private equity and hedge funds for financing new investments when large banks are uninterested in taking on further risk. The public can rarely (if ever) verify that these types of arrangements take place, even if it is a teacher attempting to verify what her pension fund is doing with her money. Pension funds and endowments have not always invested in the private market. In the 1980s and before, in fact, they were almost exclusively invested in publicly traded securities. Laws such as the Securities Act of 1933, the Securities Exchange Act of 1934 and the Investment Company Act of 1940 allowed the public to verify how the companies in which pension funds and endowments were investing used their funds and provided transparency to investors in order to prevent fraudulent activity. The anti-apartheid divestment campaign against South Africa during the 1980s thus carried the possibility of ceasing Western investment in that country. For example, largely as a result of pressure from activists, IBM spun off its South African subsidiary in 1986. Investigators were able to look through all of IBM’s filings with the Securities and Exchange Commission and successfully verify that IBM no longer had investments in South Africa. By focusing only on publicly traded securities, the fossil fuel divestment campaign ignores the corporate misdeeds of a sector that holds billions of dollars of investments in a dirty energy economy. The same is not possible with privately traded alternative investments, which have been on the rise since the early 1990s. (It is difficult to ascertain why exactly pension funds and endowments have funneled assets into private markets, as there is little evidence that they perform any better than stocks and bonds and a great deal of evidence that they are far riskier. Private market money managers are notorious as great salesmen, and a series of pay-to-play scandals have implicated some of the largest hedge funds and private equity firms.) Regardless, today pension funds and endowments are by far the largest investors in hedge funds and private equity. Thus only through a wholesale divestment from all alternative investments could the public verify that a given pension fund or endowment lacks fossil fuel investments. Farallon Capital Management, which Steyer founded, has major investments at all levels of the fossil fuel economy. While he is no longer at the helm, during his leadership it pursued major deals in fossil fuels, as a recent report from Reuters showed. In fact, the firm had been a target of student activists before he began funding them. Activists criticized Farallon for attempting to privatize a massive aquifer in Colorado in 1994. More recently, Farallon has made major investments in coal mines in Indonesia and Australia. Grantham, for his part, argued in an interview with The Guardian that he felt that student activists should “stamp their feet” to get their university endowments to divest from fossil fuels “because they can do that.” With his firm’s significant investments in the fossil fuel economy — according to first quarter 2014 filings, $1.2 billion in Chevron, $570 million in ExxonMobil and $240 million in Monsanto — he, apparently, cannot. The campaign endangers its legitimacy — and shows how toothless it is — by accepting funding from Steyer and Grantham. Both have a clear financial interest in routing pension fund and endowment investments further from publicly traded securities and into the private markets dominated by their firms. In other words, they stand to benefit from a successful divestment campaign that focuses only on publicly traded securities. By focusing only on publicly traded securities, the fossil fuel divestment campaign ignores the corporate misdeeds of a sector that holds billions of dollars of investments in a dirty energy economy. The divestment campaign would be far more effective if it argued that institutional investors must fully divest — not only from publicly traded fossil fuel stocks but also from the private securities market, a black hole of deregulation that features some of the highest-compensated people in human history. For the climate justice movement to gain any ground, it will require what Martin Luther King Jr. called “a revolution of values.” Hedge funds and private equity must be held to the same standards as the retirement funds of millions of working-class Americans. The climate justice movement should demand more than an Astroturf campaign that ultimately enriches the wealthy at the expense of retirees and kids on financial aid. Editor’s note: An earlier version of this story mistakenly identified the amount that Tom Steyer, through his foundation, contributes to 350.org. It is less than $1 million, though the organization does not disclose the exact amounts it receives from foundations.